Keilor Autobody, family business specialized in car smash repairs, panel beating, paintless dent repair and Spray painting in Keilor East. Keilor Auto Body is reputed car service and repair agency in Keilor East. We are a family owned business started our service in 1986. We are serving in this location for past 10 years. At Keilor Autobody our goal is to return your vehicle to pre-damaged genuine condition with Smash repairs and Spray Painting. We are a family owned and operated business which commenced trading in 1986. We offer many services including all insurance Repair work, Panel Beaters, vehicle retrieval and delivery, helping you through your claim as efficiently as possible. As reputed industry in panel beating, smash repairs, paintless dent repair and spray painting; we are committed to offer quality service to all our customers. Our prime aims to deliver quality service to our customers with advanced practices, methodology and latest equipment. We have invested hugely in latest repair equipment and system to offer quality repair works to all our customers at affordable price. Our primary focus is the client and achieving total client satisfaction. We have highly experienced team of professionals who are trained to be co-operative with customers and offer many services and lifetime guarantees on all car repairs works to cater our client needs. 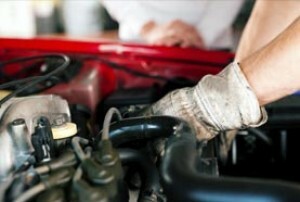 Our professional service and advanced practices makes us pioneer in car repairs industry.